Calm breathing is a technique you can learn to slow down your breathing when you are feeling stressed or anxious. 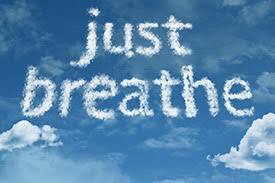 Calm breathing, on the other hand, can decrease physical symptoms, and reduce anxious feelings and worry thoughts. As the pace of breathing slows, this allows your child to feel better able to cope with what is happening. ~ Calm Breathing is not meant to control, eliminate, or avoid generalized worry or panic attacks, but to tolerate and cope with worry. “Imagine you have a red balloon attached to the end of a long straw that reaches from your mouth and goes to your belly. Place your hand on your belly over your belly button and feel how the balloon inflates and deflates as your belly goes up and down as you breathe. Kinda cool huh?" "Now, close your eyes and keep your hand on your belly, and let’s begin. Take a slow, deep breath of air in through your nose as you count in your head 1, 2, 3, and then pause and hold it for the count of 1, 2, 3. Then slowly breathe out making your lips into a circle as if you are blowing out candles on the count of 1, 2, 3." "Keep imagining the red balloon getting bigger as you inhale and smaller as you exhale. Take a slow, deep breath of air in through your nose counting in your head 1, 2, 3, and then pause and hold it for the count of 1, 2, 3. 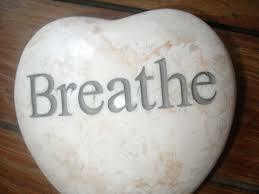 Then breathe out 1, 2, 3.​"
"Your breathing is starting to slow down. Again, take a slow, deep breath of air in through your nose counting 1, 2, 3, making the balloon bigger, next pause and hold it for 1, 2, 3, and then blow away the worry 1, 2, 3 shrinking the balloon." "Focus on the air traveling in and out slowly and evenly making you feel calm. Take another slow, deep breath of air in through your nose 1, 2, 3, making the balloon bigger, and then pause and hold it for 1, 2, 3, and then blow away the worry 1, 2, 3 making the balloon shrink." "Take a slow, deep breath of air in through your nose as you count 1, 2, 3, big balloon and then pause and hold it for 1, 2, 3, and then blow away the worry 1, 2, 3 little balloon. Lovely. 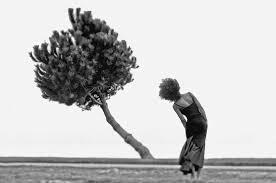 Take a slow, deep breath of air in through your nose 1, 2, 3, and then pause and hold it for the count of 1, 2, 3, and then blow away the worry 1, 2, 3. Let's do two more breaths. " ​Take a slow, deep breath of air in through your nose 1, 2, 3, and then pause and hold it for the count of 1, 2, 3, and then blow away the worry 1, 2, 3."